Every day of every month at GQ, we start your morning on Instagram with visual advice on What to Wear Today. But we want to go deeper. Give you the nuts and bolts of how to get the look into your wardrobe. This month it's all about business casual, and today we're focusing on a classic pair of spring shoes in a not so classic color. As soon as the temperature hits 58 degrees, something inside every human being begins to dream of shorts, summer weight suits, and the epic freedom that is going sockless. But you need to start small, changing things incrementally over a period of weeks not hours when you're moving into summer weather. 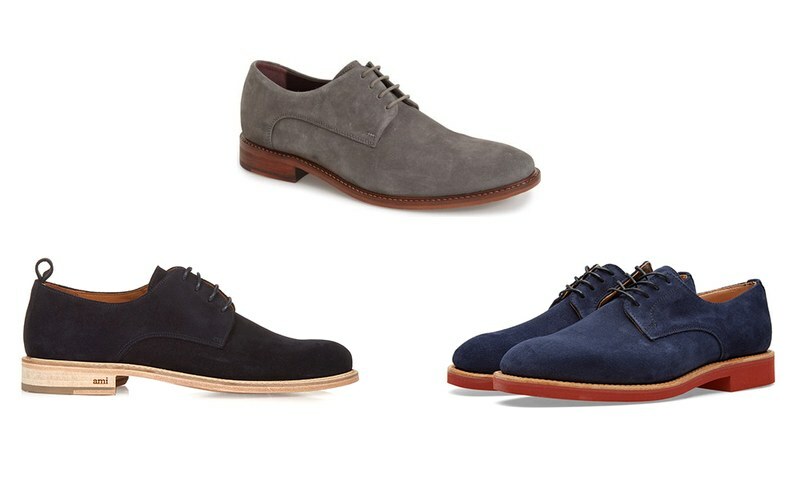 The logical first step here is making the switch from leather lace-ups and boots to warm weather friendly suede bucks. Simply changing your shoes will change the entire vibe of your outfit— a small investment with BIG returns. Grab a pair in navy or slate gray for a subtle swerve on the classic preppy tan.